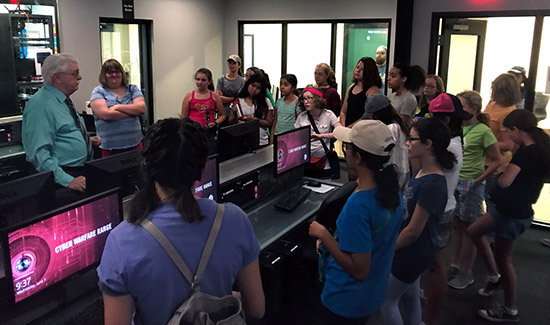 The Girl Scouts Arizona Cactus-Pine Council (GSACPC) offers camps for girls in three age groups, which include summer technology classes held at UAT. Some topics that they are learning include coding, game art, science, stage makeup, digital video and business, taught by knowledgeable UAT Professors on our technology-filled campus. UAT is an advocate for women, especially in STEM degrees, making this collaboration a perfect partnership opportunity in the Phoenix community. The Girl Scout camp runs from June 7- July 21, on UAT’s campus located at 2625 W. Baseline Road, Tempe, AZ 85283. Girl Scouts—Arizona Cactus-Pine Council (GSACPC) is Arizona’s leading organization dedicated to building girls of courage, confidence and character who make the world a better place. In partnership with more than 10,000 adult volunteers, GSACPC serves 20,000 girls grades K-12 in more than 90 communities across central and northern Arizona.